The BassPULSE 2MX speakers offer dynamic sound and an ear-pulsing bass in a compact form. 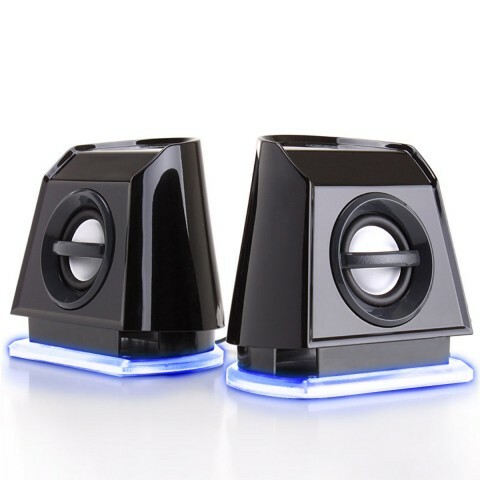 Featuring dual drivers, glowing blue LED bases and USB power, these speakers are perfect for your laptop or your home office computer setup. 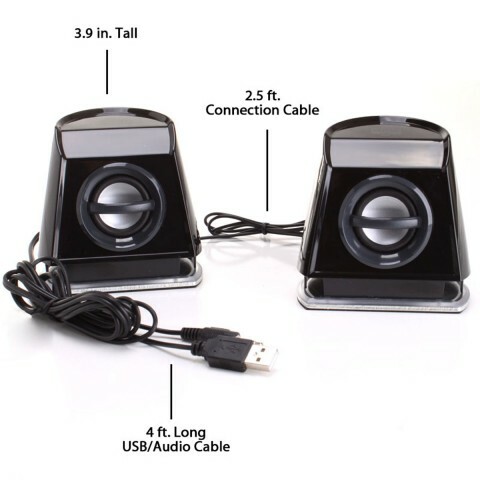 Equipped with Plug-N-Play design, these compact speakers are powered by USB with no external power adapters or drivers required. 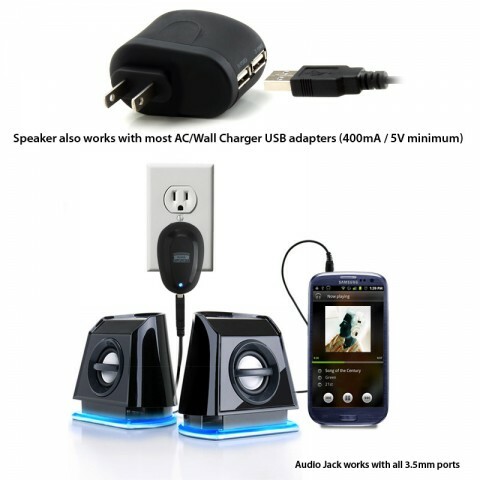 Either plug into your computer for instant sound or use any universal AC adapter (AC Adapter NOT included). Need to turn up the volume? Control the volume with the rear-loaded control button for a quick audio adjustment .The built-in 3.5mm headphone jack makes it easy to play music from your desktop laptop or even a Smartphone, Tablet or MP3 player. 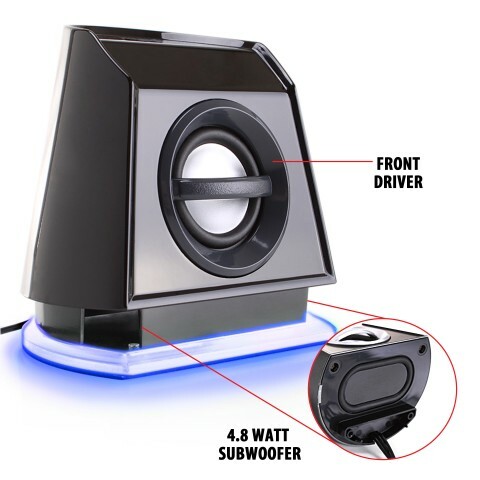 The BassPULSE 2MX duel stereo speaker system gives you a unparalleled audio experience! Designed for to give you the most complete sounding audio, its subwoofer delivers bass that hits deeper considering its compact design. 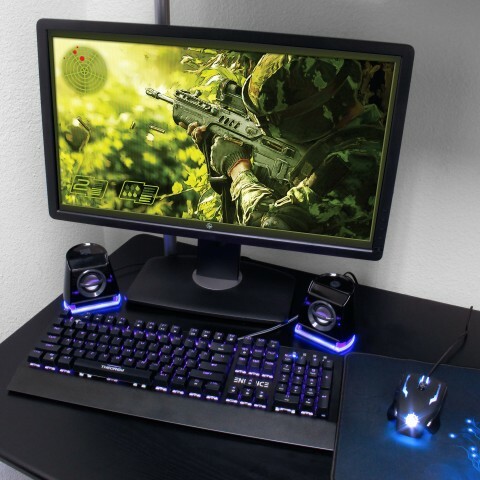 Take your gaming, Netflix marathons and Youtube watching to a whole new level! 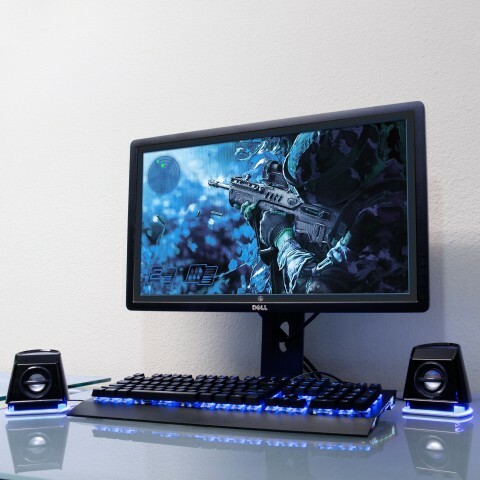 Your missing piece to your computer setup is here! Designed with a sleek, black piano finish the BassBULSE 2MX speakers will compliment any computer setup or room. 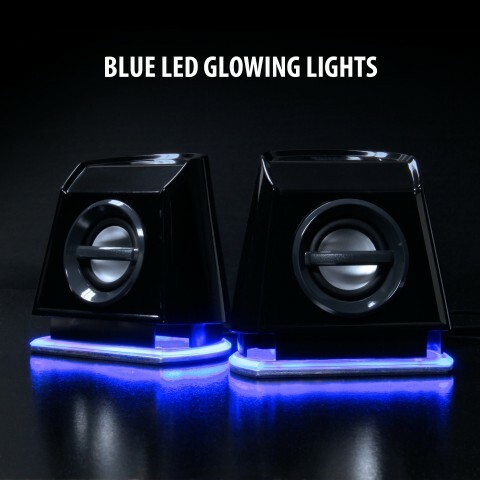 Along with unique contours, blue LED lights glow around the bass of the speaker adding a splash of mood to setup. Be creative and design your own setup. 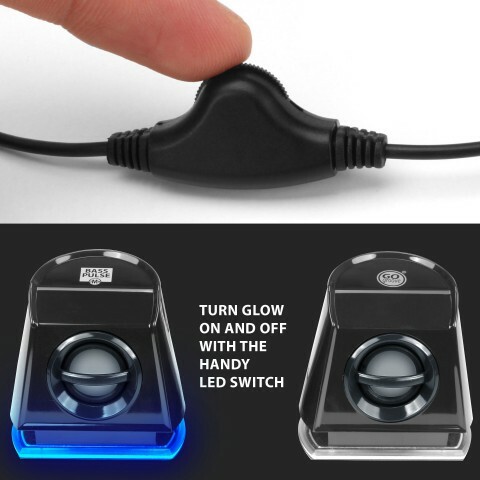 Either place both on one side of the computer or separate with the long connection cable for an even, one on each side look. Together the sound and design combined bring you a product that pleases your ears AND your eyes.